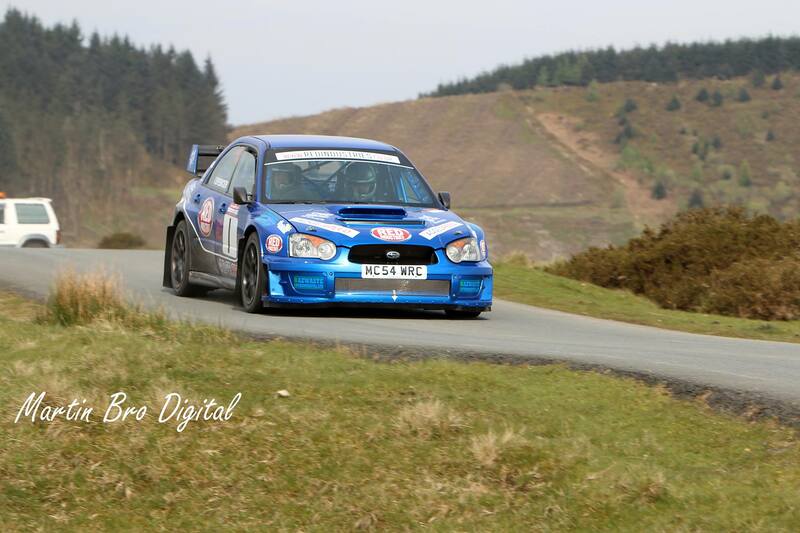 After a few months break overhauling the transmission ready for the forth coming season, it was off to Epynt for the Dixies rally for Team Adgespeed, in there RED Industries, ABR Engineering backed Subaru Impreza S11 WRC car of Adrian Spencer and Mark Hewitt. After a problem on the last rally a few weeks earlier when the bonnet flew up damaging the screen and roof, the team were looking for a good clean run. Seeded car 1 as they won the the rally in 2016 it was going to be a tough battle as multiple tarmac champion Damian Cole had entered in his Ford Fiesta WRC and they were seeded car 2. With the weather being dry, tyre choice was easy for the 1st loop of 2 stages and Adrian and Mark led the cars away. A good clean but slow run saw them finish the loop in 2nd place with Damian Cole immediately setting some very quick times to take the lead by 24 seconds. 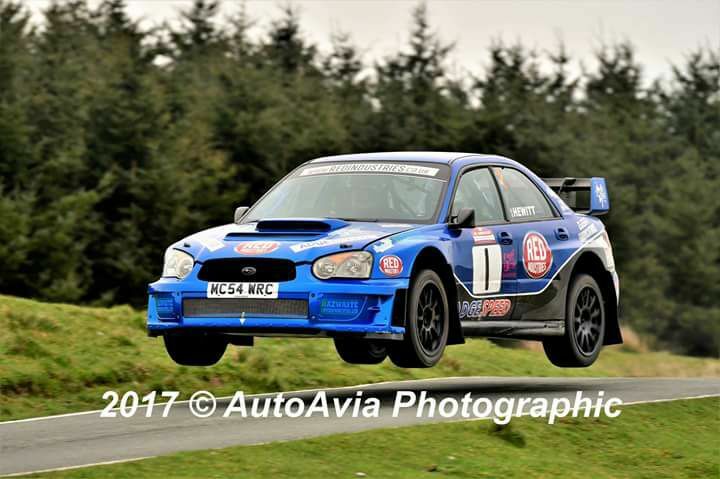 With no recce for this event Adrian was feeling a rusty as it was nearly a year since being on Epynt and nearly 6 months since driving the car in anger on the Neil Howard Memorial rally at Oulton Park in early November 2016 where they finished 5th O/A. Stages 3/4 were repeats of stages 1/2 and with Adrian getting back into the swing, Damian Cole only improved by a further 7 seconds on stage 3 and then only 2 seconds on stage 4. Adrian and Mark cemented their 2nd overall by increasing their lead over 3rd place Richard Merriman in his Darrian to 23 seconds. Stage 5 and 6 were stages 1 and 2 run in the opposite direction and Adrian and Mark lost a bit more time on stage 5 as they had to back off on a flat in 6th gear part of the stage due to sheep wandering across the stage and they didn't want a repeat of the incident on the Harry Flatters rally the previous June. However they still managed 2nd quickest time. With no sheep on stage 6 Damian only managed to be another 2 seconds quicker and now increased his lead to 43 seconds. 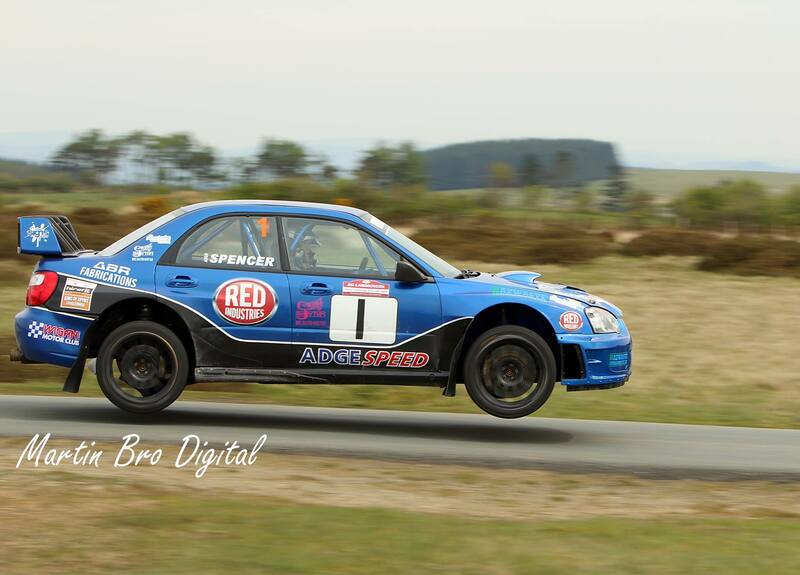 Adrian and Mark also increased their lead over 3rd placed Richard Merriman to 29 seconds to remain in 2nd O/A. Stage 7 and 8 were repeats of 5 and 6 and with the weather changing from dry to damp as it started to rain a change of tyres was needed and as catching Damian Cole was looking very unlikely unless he had a problem, it was a steady run to maintain 2nd O/A, however with the damp conditions the 4 wheel drive of the Subaru Impreza meant they increased their advantage over Richard Merriman to 46 seconds in 3rd place. For the final stage 11 and with Adrian feeling more confident with the car, Adrian and Mark took the stage win and beat Damian Cole by 3 seconds. A good end to the days rallying finishing 2nd O/A. In the end it was the early stages which hurt the challenge to Damian Cole, but once back in the groove the pace was there. So it was time to congratulate Damian on his win and look forward to the next rally in a few weeks time.